Great for classroom lessons on the Oregon Trail and Westward Expansion! In 1853, the Larkin family loaded up their wagons and headed west in search of a new life. But how did they do it? What did they eat? How did they survive sickness, and attacks from cattle thieves? Drawing on diaries and letters, and illustrated with photographs of actual object from the past, Daily Life in a Covered Wagon explored what life was really like on the wagon trail. 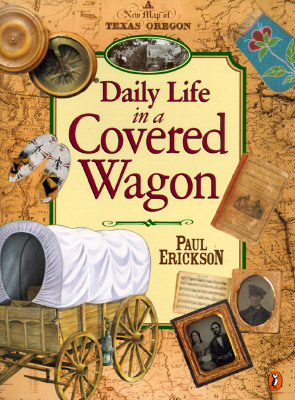 Paul Erickson is the author of several non-fiction books for young readers, including DAILY LIFE IN A COVERED WAGON and DAILY LIFE ON A SOUTHERN PLANTATION.